As far as I know, there isn't a general discussion thread for IDW, which there probably should be so not to clutter other threads. It could also be a place for semi-random dissertation and analysis that doesn't really have a place anymore. Which...makes quite a lot of sense when I think about it. 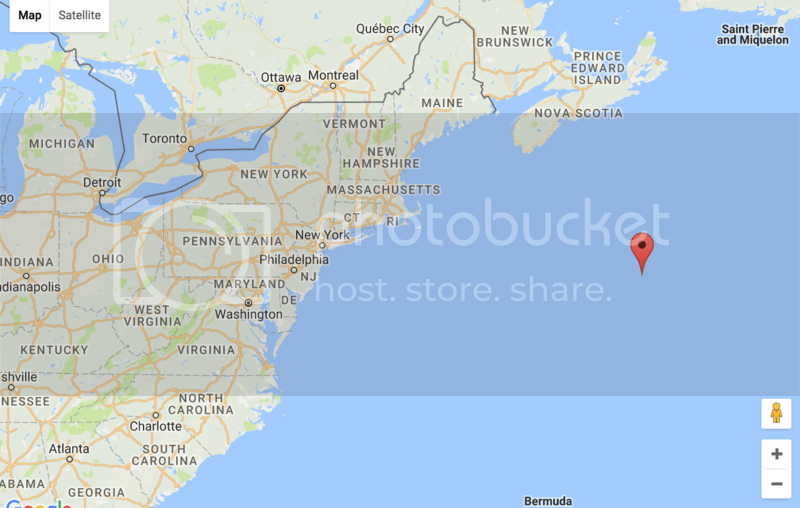 Just marginally south of New York, but farther Eastward, right in "Hurricane Town". That's 696.16 miles/1120.37 kilometers (or 604.95 nautical miles). When looking that up, I found it was the exact time to fly from Changcha, China to Qingdao, China, and it takes and hour and 54 minutes. Maybe a little less time for Krang's private plane. So, it would be quite reasonable to knock someone out in New York, fly them to the island, and plop them in a bed with time to spare, as was done with Stockman. Depending on how fast the plan was going, that is. Not sure it would make sense for alligators to be out that far, unless they got there by accident or there was just a few really, really dedicated individuals that managed to swim there. Now, I'm not sure if anyone else has pointed that out, but I thought it was a good place to leap from in a general discussion thread. Next time (but not really, maybe? ), how big is Burnow Island actually, and what is in the map's legend? Random IDW bit from me: I just saw yesterday that there will be a Star Trek vs. Alien crossover between IDW and Darkhorse coming next year. One step closer to that Usagi crossover? Star Trek with Alien? That sounds like things could get...really, really ugly . Maybe it would mean Usagi, at least in a special crossover of some kind like they did with Ghostbusters and Batman. I can't see how he could be squeezed into the main storyline. If the Nick Show is getting Usagi, then it's probably not far behind for IDW, since they're basically both owned by the same properties. Right, I don't expect him in the ongoing either. A mini series would be ideal. The variant covers we'd get would be epic, especially if Sakai and Laird teamed up on one. I thought the exact place was once mentioned somewhere in the Ask An Editor Thread lol. But its cool to have a thread for IDW itself. Makes sense in a way as you said. And as it looks it is right in the bermudan triangle or at least close bye. Maybe yet another idea they could use for some extraterrestial story. That looks like it is quite close to where the Titanic went down. Looking it up, modern air would be too thin for dinosaurs, even if they're small ones like Pepperoni and Anchovy. They would have had five times more CO2 than currently. It is kind of funny to look at, considering all the fuss Krang made just to make the oxygen thinner for Utroms, when two dinosaurs are surviving just fine in air that's technically unsuitable for them. I'm pretty glad the current Darius/Street Phantoms arc is coming to a close for now, as its essentially been brewing since issue #51 which means we've going through this for quite a while. I really hope Bishop has the next major arc in the ongoing, in the Universe arc he's mostly a secondary character as most of the focus is on Zodi or the action with the soldiers themselves. I want to see Bishop himself explored, see if he has all those sweet moves as a fighter, learn his backstory and see more of the EPF and Darpa. Either get on with Bishop launching an attack on Burnow Island against the Utroms, or show Bishop go after Old Hob and the Mutanimals, either way one of these two arcs is likely next. I've got a feeling the Universe issue with Leatherhead will have something to do with this. TMNT Adventures vol. 15 has an Amazon listing. It will collect issues #62-66. 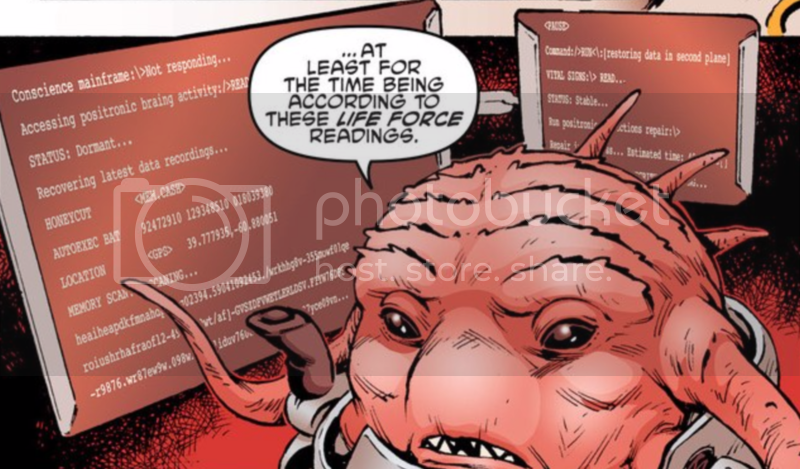 In re-reading something, I noticed something that I hope will fall into the From the Heart, For the Herd storyline in Universe. 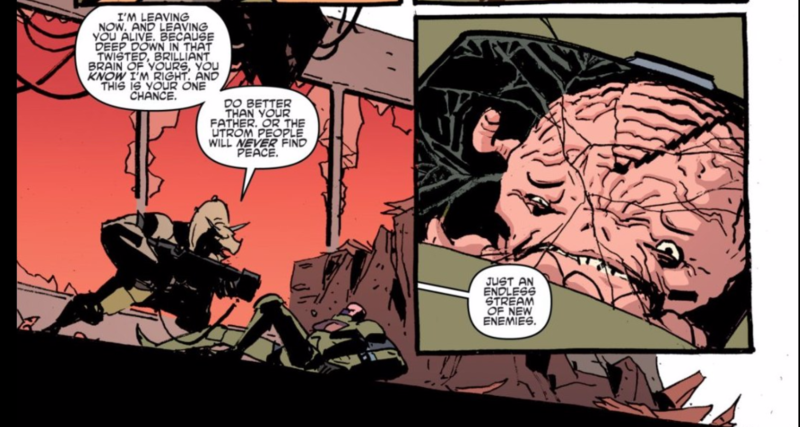 Zog seems to have some faith in Krang's ability to change his patterns and "be better than his father". Zog's issues with the Empire mostly falls on Quanin. Not Krang. 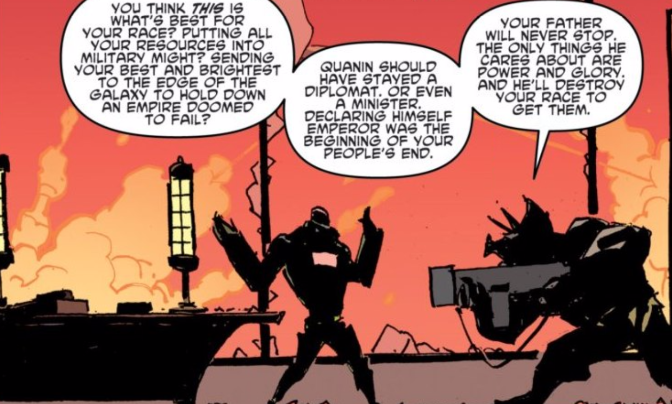 So I'm just wondering...what was happening before all this for Zog to make the distinction that Krang could potentially prove himself a better leader than Quanin? What was Krang specifically doing that made Zog think "Hey, I think he has a chance to redeem himself and his people". Krang, who proved his aggression by killing a big, muscular humanoid. With. A. Stick. With absolutely no combat training as far as we're aware. Anyone should be just as wary of Krang as they are of Quanin, if not more wary, but we've seen evidence of LOTS of people hoping Krang would be better. Lorqa and Ma'riell being two of them. MAYBE Honeycutt at some point before the Technodrome project. 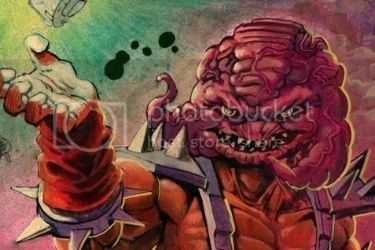 So I'm wondering what Krang was doing that made people have hope for him. Because as far as I can tell from the narrative of his mini and Utrom Empire, he didn't really have much of a chance to be better except for being willing to die for his Empire in just one issue - a trait that's never seen again afterwards. And of course Zog was right that he should have pulled back and settled things calmly or he'd find new enemies. Because that's exactly what happened. It's why he ended up imprisoned by the Neutrinos. It's why he was denied the chance to be with his people when they were revived - something he'd probably been dreaming of for decades and lost because he got too greedy and violent. He didn't change and thus doomed himself to misery. 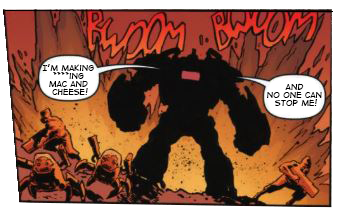 Which I say is total bull sh*t.
Mirage and IDW share a Renet, sure. But there's no way 4kids and Nick fit into that. Yeah, there's a pretty distinct difference in personalities. I don't think it's that bad. Though I do wonder if that is the case then with Savanti Romero was "banished" that he himself splitup into his multiverse counterparts. That perhaps the only way to be "normal" is for all his forms to come back together and be one.